The countdown to Christmas is underway! Looking to find a special gift this year? Have you considered getting bombed for this holidays? Have you given thought to helping your friends get bombed? Did you know that bath bombs have aromatherapy benefits? Did you know the there are health benefits associated with some scents? 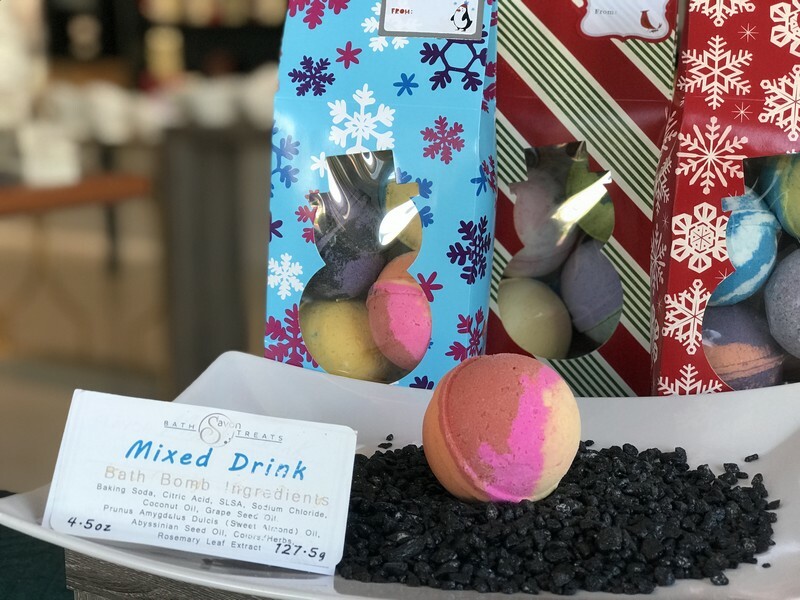 Most bath bombs contain sodium bicarbonate and citric acid, two ingredients that combine to create the fizzing sensation that have contributed to bath bombs growing popularity. These primary ingredients also clean, deodorize, and contribute to the healing of dry skin as well as strengthen blood vessels. Many bath bomb also add emollients and softeners to your bath’s water that moisturize your skin. When used in the shower your won’t enjoy the moisturizing benefits but this is an ideal way to take advantage of their aromatherapy properties. Need another gift idea for the holidays, or a way to treat yourself? How about all natural soaps? We take vitamin C, get our flu shots, and avoid people with coughs during the winter season to stave off colds. We drink bottle water and try to eat healthy. Yet we often give little thought to our skin which is the body’s largest organ. Skin is incredibly porous and absorbent. Study after study has clearly shown that toxic chemicals are drawn through the skin and transferred into the bloodstream. Dependent on the chemicals this can cause long term toxicity issues or a compromised immune system. Here is another disturbing tidbit to consider. A primary ingredient in commercial antibacterial soaps is triclosan. This chemical is classified as a pesticide by the Environmental Protection Agency. Some studies have indicated that this chemical is resulting in an increase in bacterial resistance across the world. True soap created by mixing together oils or fats and lye create a reaction known as saponification. Handmade soaps contain nutrients, essential oils, glycerin, and vitamins. In addition soaps infused with essential oils also have the added benefit of antibacterial, anti-microbial, anti-inflammatory and other health-promoting properties. Other ingredients can be added such as Shea butter that provides excellent skin nourishment or oatmeal to exfoliate. Here is a bit of history to consider. In the late 19th century as industrial manufacturing by large corporations began eliminating smaller natural soap makers through attrition, glycerin was extracted from soap to be sold in more lucrative products such as lotions marketed as a means to cure dry skin! As an historic footnote glycerin is an essential ingredient for nitroglycerin, the primary explosive used in dynamite. By removing it from soap, companies were left with another profitable product. The glycerin-free soaps were mixed with cheaper synthetic ingredients that imitated true soap. So, this holiday season get bombed. This holiday season treat yourself as well as family and friends to the gift of health by shopping at Savon Bath Treats.